CanPower certified and have CEP Gold level. 1980 World Professional Ladies Champion (Jaca, Spain) and 1978 Korean Ladies Champion. Principle Skater for two years with Holiday on Ice in Europe. 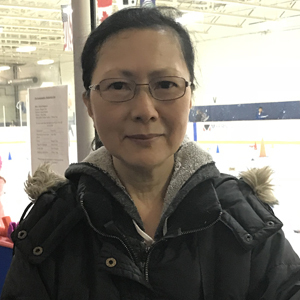 I have coached skaters from Preliminary through to Gold Tests in Freeskate, Dance, Interpretive, Skills, and also Junior Competitive, my skaters have medaled at Invitationals, Interclubs, Recreationals and Sectionals and some have competed at Divisionals.